Beautiful Dreams and Wild Adventures. 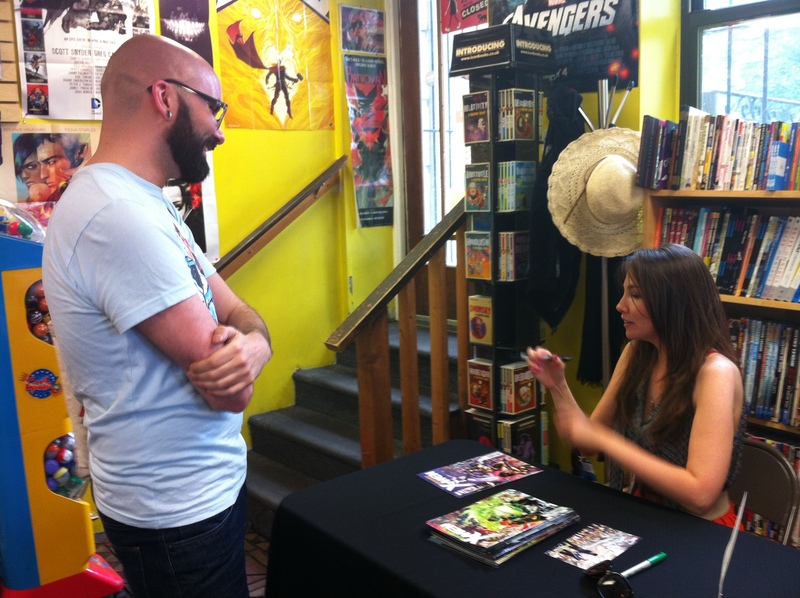 This past weekend saw my first official comic book signing and it was quite fitting that Marjorie Liu would be the writer for whom the signing was held. She is currently at the helm of Astonishing X-Men and responsible (at least in part) for the upcoming Northstar-gets-hitched issue. I’m a fan of Marjorie’s work with the shortlived X-23 ongoing (Claudine Renko is amazing) as well as her NYX: No Way Home series. That, coupled with my being an Alpha Flight and Northstar fanboy from way back made me jump at the opportunity to meet the woman who would be seeing him down the aisle. Will gave me the heads-up about the signing prior to my visit to Boston. I packed accordingly and dug out everything in my collection with her name on it. I even brought some of the promotional material for the upcoming wedding issue (Astonishing X-Men #51). Marjorie was very sweet and so thankful that we came out to see her. She and I talked a bit about some of her ideas for upcoming storylines. We spoke of who would make a good love interest for Karma and how much fun she is having writing characters like Warbird and Chimera. 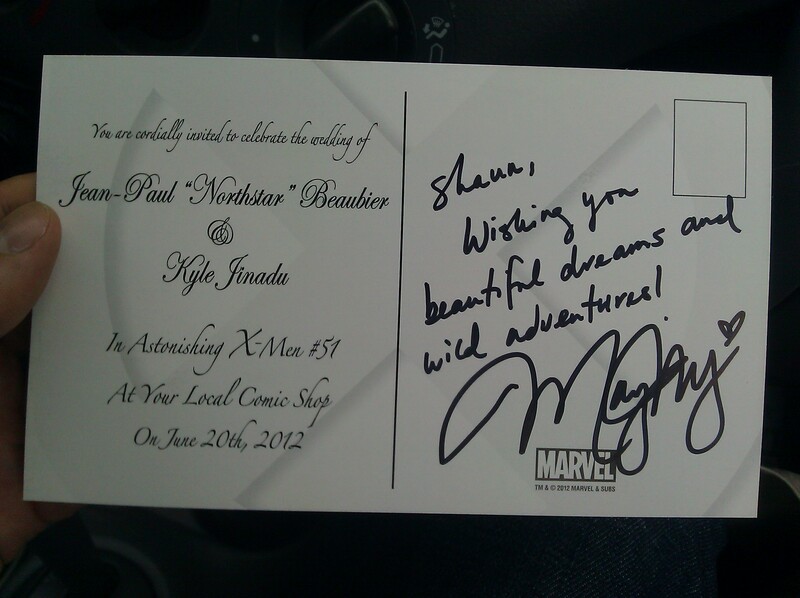 She swooned over the wedding invitation for Northstar and Kyle which Marvel had printed to promote the issue. “Wishing you beautiful dreams and wild adventures!” is what she wrote on the invitation and it perfectly sums up why I still read comic books and will always appreciate meeting folks like Marjorie Liu.